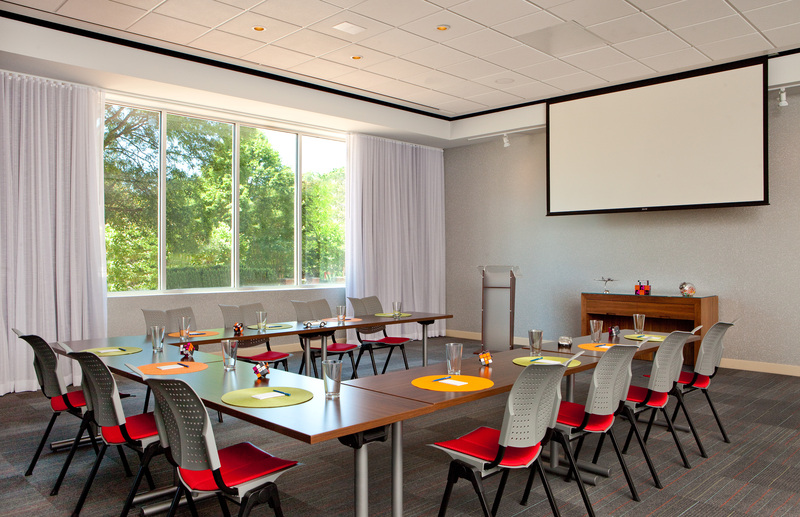 Aloft Raleigh shares the rich history Raleigh and North Carolina State University (NCSU) boast to this day. The exterior of the hotel features two designs that represent both the history of NCSU and the future the university holds. They meet together behind a 55-foot tall sculpture constructed by local artist Thomas Sayre. Sitting across the street from Aloft Raleigh is NCSU's famous Bell Tower. This monument honors all of the NCSU alumni killed during World War I, and construction began on it in 1921. After years of halted construction due to the Great Depression and World War II, the Bell Tower was finally completed and dedicated in 1949. Featuring 35 names of fallen men, this Bell Tower is another representation of the rich history Raleigh has to offer. Description The main event space is 1,600 square feet that combines our main room with a pre-function area separated by an accordion glass air wall. 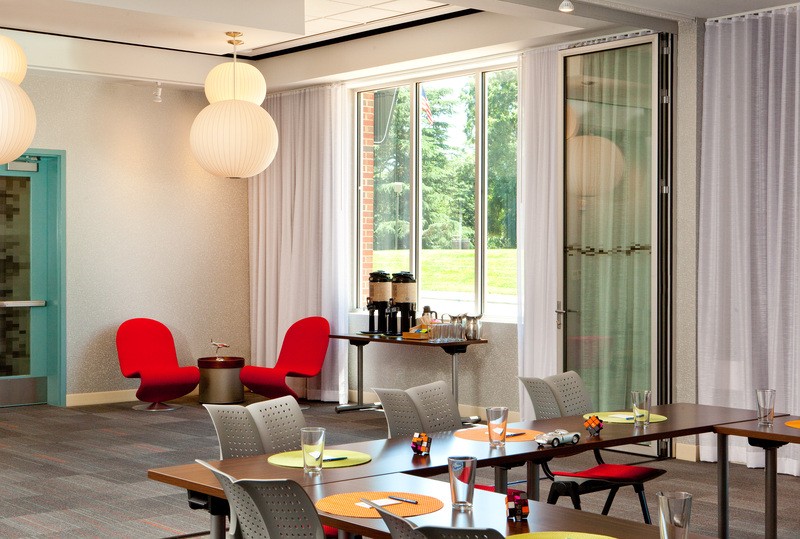 This space is cozy and comfortable as it provides natural light since it is located on an exterior wall of the hotel. 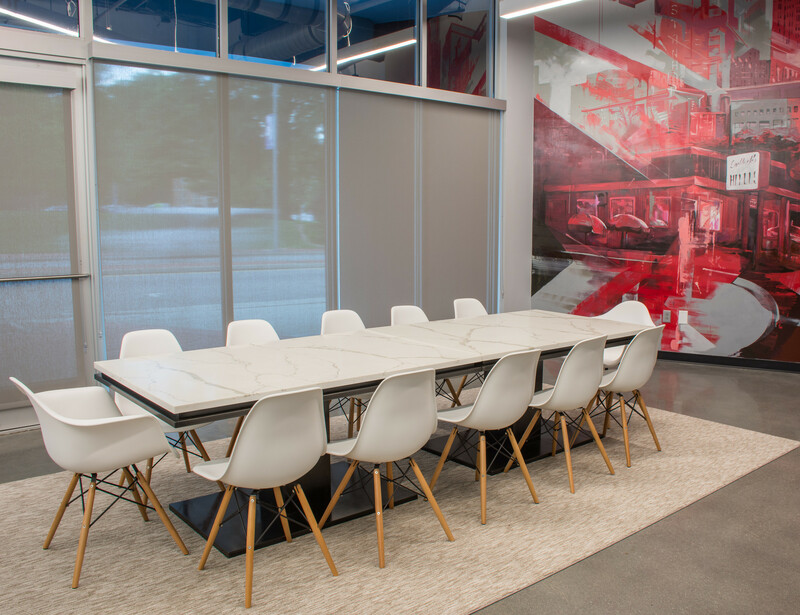 In addition, Aloft Raleigh also has Think Tank, which is a 600-square-foot boardroom setting for 15 guests. 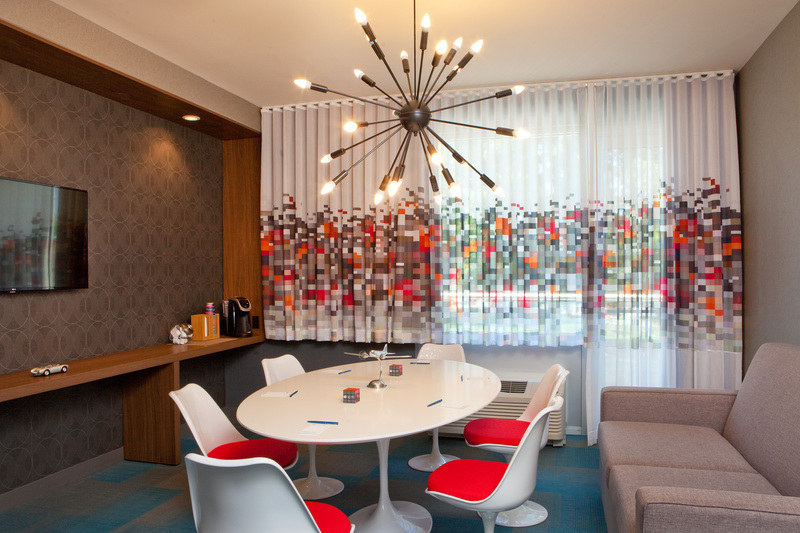 As well as, an executive suite with a board room for 6 and one of the more popular spaces, a semi-private space in the Lounge allows for an informal reception of up to 60 guests. 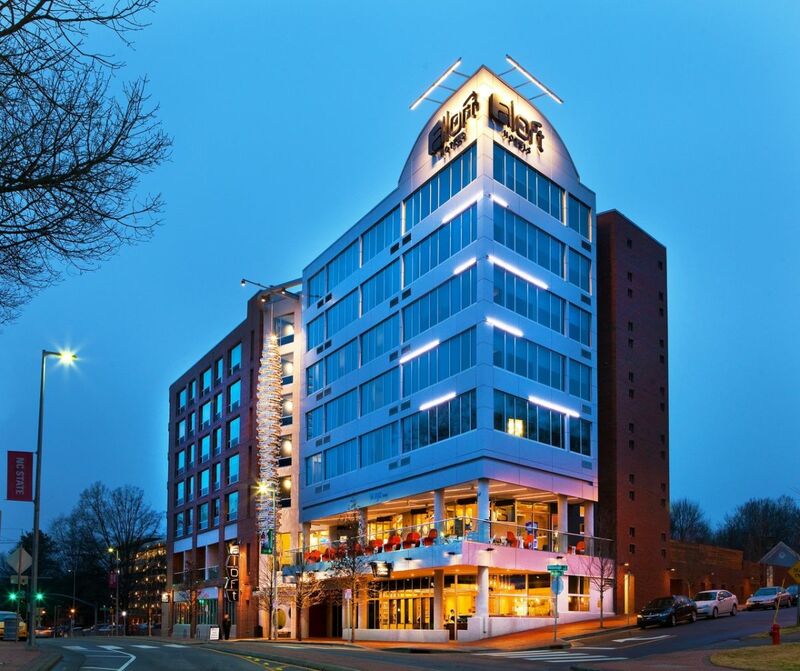 Aloft Raleigh is fortunate to have Jubala Coffee and Gonza Tacos y Tequila as restaurant and catering partners. This property does not allow outside catering.